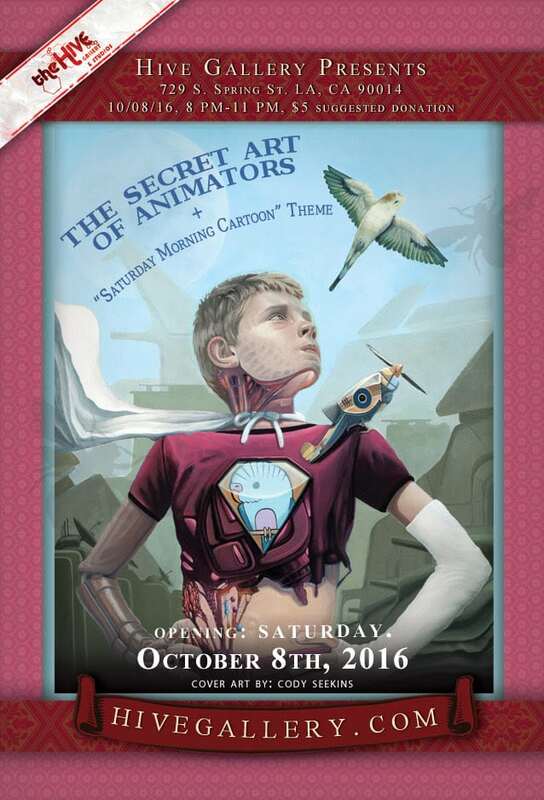 Cody Seekins to be Featured Artist at the Hive! 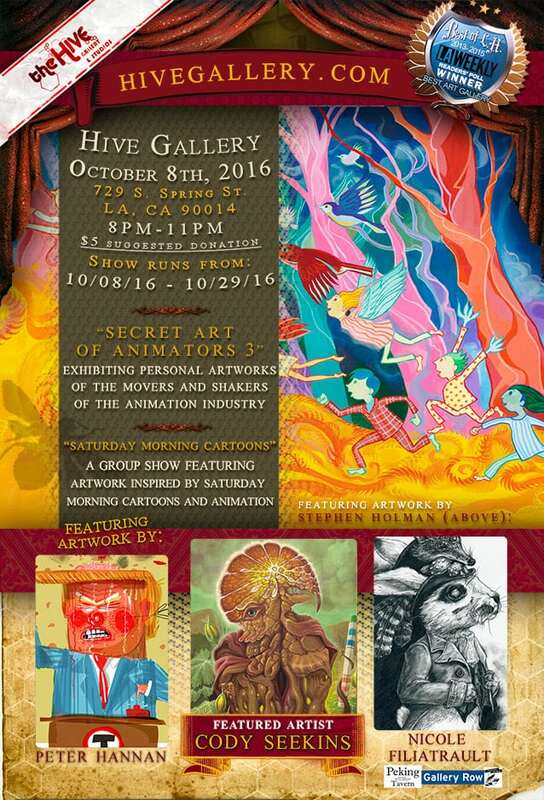 Cody Seekins will be at the forefront this October 8th, in what will be a truly dynamic event held by the Hive Gallery and Studios, L.A.
Cody’s selection of original oil paintings will be wholly new to the Hive Gallery, pulling from a range of his psychedelic and Jataka pieces. Sierra Lewis – Animator – Simpsons “couch gag”, The Tom and Jerry Show, Oh Noah! Zachary Friedberg / Anthony Ikediuba / Kenneth Calhoun / Emma Jacobs / Ben Russel / Sydtropolis / Taylor Hammond / Cult Circuit / Karen Amendolagine / Bob Lizarraga / Aya Masuda / Jess Jerome / Sydtropolis / Marissa Lamour / Ben Russel / Maye Osborne / Tim Dilbeck / Jonathan Bueno / Eriko Tsogo / Gian Norte / Bryan Anthony Moore /June Vigants / Tooter / Tahnee Gehm / Mike Bell / Bill Bronson / Nikki Lukas / Bill McEvoy / Jaime Jimenez / Tahnee Gehm / Gregory Rodriguez / Mr. Melty / Jonathan Bueno /Sunol Golden / Allison Smith / HK Lee / Enrique Pita /and more! If you are an art enthusiast or patron, expect to feel like a kid in a candy store. If you haven’t been to the Hive before, feel encouraged to check it out and see first hand why it has been voted “Best LA. Gallery”.